In January 1964, Democratic President Lyndon B. Johnson declared a “War on Poverty.” A quick Google search today will tell you that the legacy of this war is still hotly debated fifty years later, prompting journalists, politicians, academics, bureaucrats, and the public to ask: “Did we win or lose the war on poverty?” Ideological lines, of course, split the answer. I believe that in examining the legacy of these anti-poverty measures we need to go back to places where these programs were first established and critically examine the cultural values these spaces embody. I found myself examining the War on Poverty in an unexpected place—a national park. This past year I have been doing a special study on social reform programs at Catoctin Mountain Park, a small park tucked away in central Maryland only a short distance away from Washington, D.C. Not many people are aware that Catoctin has a long history of social reform—from the relocation of farmers to create a Recreational Demonstration Area during the New Deal to the establishment of the very first Job Corps program in the nation in 1965. 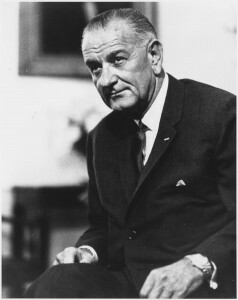 Congress passed the Johnson administration’s Economic Opportunity Act in 1964, which gave the government the ammunition to fight the War on Poverty. The legislation created a number of programs many Americans still use today, including, among many things, Head Start, College Work-Study, Neighborhood Youth Corps, Volunteers in Service to America (VISTA), and the Job Corps. 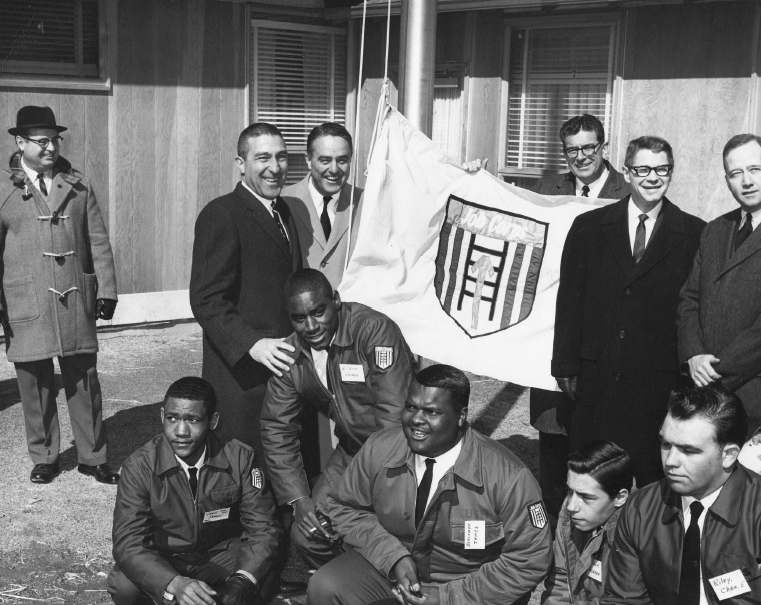 The Economic Opportunity Act created the Office of Economic Opportunity (OEO) to coordinate these programs, and Johnson asked Sargent Shriver, founder of the Peace Corps, to lead the new agency. The OEO, National Park Service (NPS), and U.S. Forest Service (USFS) set to work before the bill was passed to identify suitable locations for the Job Corps program. It is little coincidence that they chose Catoctin to be the first center. Job Corps administrators initially modeled the Job Corps program after the popular Civilian Conservation Corps (CCC), which put hundreds of thousands of young men to work in conservation projects at state and national parks and forests across the country during the New Deal. Works Progress Administration workers and CCC enrollees transformed Catoctin from a collection of farmsteads and timber lots to a park during the New Deal. 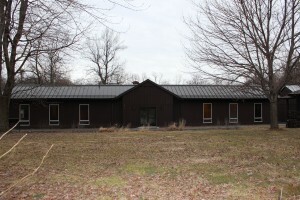 The OEO and NPS identified the former CCC camp (now known as Round Meadow) to be an ideal location for the Job Corps program because they believed the old camp could be easily converted into a Job Corps Conservation Center (JCCC). 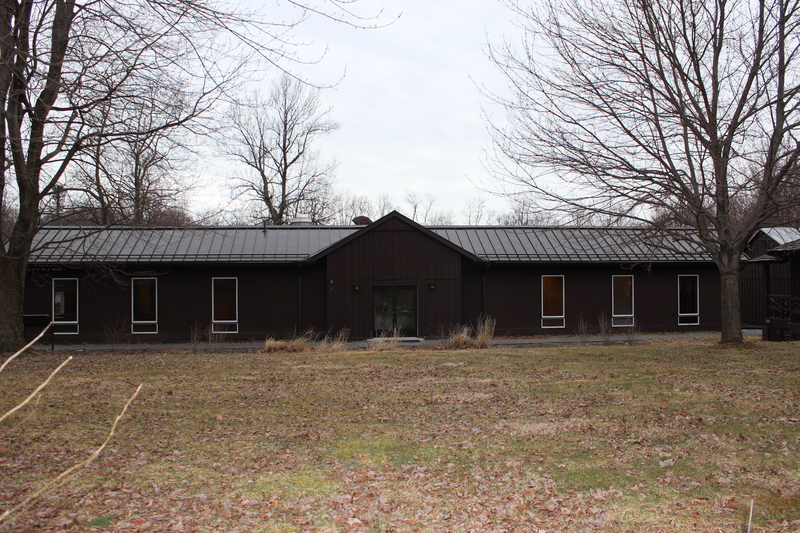 They literally built the new center on the foundations of the old CCC camp underscoring their belief that they could meet or surpass the popularity of the CCC program. The Catoctin JCCC opened in January 1965 and welcomed thirty boys between the ages of 16 and 21 from inner city Baltimore and the hills of Appalachia. The Job Corps administration’s high expectations that the Job Corps would meet or surpass the success of the CCC quickly dissipated as enrollees began dropping out in record numbers. Catoctin lost nearly forty percent in its first six months and struggled to keep staff. Politicians and journalists scrutinized the Catoctin JCCC using the center as a measuring stick for the War on Poverty’s success or failure. The resemblance of the Job Corps to the New Deal CCC program was only superficial. The Job Corps, established during the Civil Rights era, was purposefully integrated, while the CCC was segregated. The two programs also differed in purpose. CCC administrators were concerned with putting young men to work through conservation projects. The Job Corps aimed at education and vocational training for young men, many of whom were illiterate. The OEO also had the ambitious goal of ending poverty in the United States. Job Corps administrators approached poverty as a problem of environmental and material circumstance. They thought that moving young men from “negative” environments to a more “positive,” healthful setting (such as the salubrious environment of a national park) would enable enrollees to pull themselves out of poverty. Administrators were surprised that any participant would leave a Job Corps center to go back home to his family and friends. Catoctin JCCC remained open from 1964 to 1969. Johnson’s successor, Republican President Richard Nixon, reduced the program and closed conservation centers, including Catoctin. Contemporaries saw the Catoctin JCCC as a political failure, but many of the lessons learned at Catoctin paved the way for future Job Corps centers and youth programs. And some individuals did benefit from the Job Corps program. Lamar Marchese arrived at Catoctin in March 1965 as one of the very first VISTA volunteers in the country. His time at Catoctin launched a long career of public service, during which time he founded Nevada Public Radio. Lamar recalled a group of young men that he called “The Wolf Pack” that stuck together throughout their time at Catoctin and were committed to improving their educational and vocational skills. Catoctin JCCC also nurtured the artistic talents of a young man named Saul Haymond, who graduated from the program and became a renowned folk artist upon his retirement from farm labor in Mississippi. It is difficult to evaluate the legacy of the War on Poverty without examining these programs on the local level. Catoctin is a useful place to begin because it was a model for other centers and much of the infrastructure remains in situ today. The Job Corps dining hall, administrative office, maintenance shop, laundry and storage buildings, and gymnasium are intermingled with New Deal architecture. Next year most of these buildings will turn fifty years old and should be evaluated for the National Register for Historic Places – How will preservationists evaluate this landscape’s significance and integrity? This is not an issue just for Catoctin. 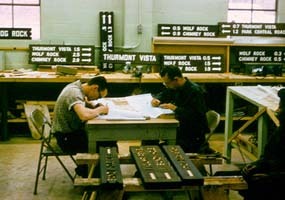 There were eight other Job Corps centers established in national parks between 1965 and 1969, including Oconaluftee and Tremont at Great Smoky Mountains National Park, Great Onyx at Mammoth Cave National Park, Wellfleet at Cape Cod National Seashore, a center at Acadia National Park, the Gap at Cumberland Gap National Historical Park, Liberty Park at the Statue of Liberty, and a center at Harpers Ferry National Historical Park. Only Harpers Ferry, Oconaluftee, and Great Onyx remain in operation today, though they are administered by the USFS, not the NPS. The USFS also had dozens of Job Corps centers. Likely, many of these parks and forests retain sites shaped by the War on Poverty and should also be evaluated to give a richer view of this dynamic period. But to do so calls for managers to take a hard look at this complicated legacy, and evaluate their agency’s role in the narrative. Angela Sirna is a doctoral candidate in public history at Middle Tennessee State University. She was the Public Historian in Residence at Catoctin Mountain Park this past year and is finishing a Special Resource Study on human conservation programs at the park throughout the twentieth century. She is writing her dissertation on the development of Cumberland Gap National Historical Park from the New Deal through the Great Society. Perhaps it has been done, but if not, it would be really interesting to see an evaluation of the impact or effectiveness of various conservation related job corps programs over time! Particularly in terms of where participants end up and what effect the programs have had on their lives.